The following transaction modifies and replaces, in its entirety, a non-binding Letter of Intent, dated December 22, 2017, as amended, between mPhase Technologies, Inc., a New Jersey corporation (the “Company”) and Scepter Commodities, LLC. As of January 11, 2019, the Company has entered into an Employment Agreement with Mr. Anshu Bhatnagar to become the new President and Chief Executive Officer of the Company replacing Mr. Ronald Durando who resigned from such position but who will continue as a Director of the Company. Under the terms of the Employment Agreement, Mr. Bhatnagar will receive a base salary of $275,000 per annum and will be granted 13,109,494,031 shares of the Common Stock of the Company. In addition, Mr. Bhatnagar, to the terms of a Transition Agreement, dated as of January 11, 2019, with the Company shall earn the right to acquire 4% of additional shares of the Common Stock of the Company under a Warrant for each $1 million of gross revenues generated by the Company up to a combined total of 80% of the Common Stock of the Company. Once the Company has achieved gross revenues of not less than $15,000,000, Mr. Bhatnagar will not be entitled to earn additional Stock of the Company under his stock-based compensation formula. In addition, under the Transition Agreement, Mr. Bhatnagar will be issued one thousand (1,000) shares of the Company’s recently created new class of Series A Preferred Stock. If the Company enters into a merger with another company and such merger is deemed significant as per SEC Regulation S-X Section 3.05 and Section 3.06 requirements, the Company will seek shareholder approval by a Proxy solicitation in compliance with Federal and State law. 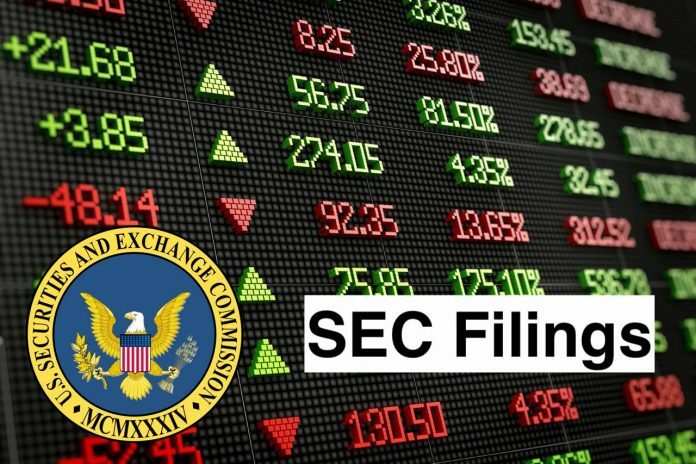 In addition, under the terms of the Transition Agreement, the Company is required to deposit a total of 15,000,000,000 newly issued shares of Common Stock in a Reserve Account to be sold at a price of not less than $.00005 per share in periodic Private Placements of such Common Stock to Section 4(a)(2) of the Securities Act of 1933. The proceeds from such sales shall be used to satisfy existing liabilities of the Company. To the extent that such existing liabilities are not extinguished by July 11, 2016, Mr. Bhatnagar shall be entitled to acquire additional shares of Common Stock to adjust the original grant of shares equal to such amount of unpaid liabilities of the Company at a price of $.00005 per share. Voting Control of the Company has been acquired by Mr. Anshu Bhatnagar, having an address at 9841 Washingtonian Blvd., Suite 390, Gaithersburg, Maryland 20878. Mr. Bhatnagar is also the President and CEO of Verus International, Inc., (F/K/A, REAL BIZ MEDIA GROUP), a publicly-held company. (2) The transaction in which Mr. Bhatnagar has acquired control of the Company is effective January 11, 2019. The transaction involves the hiring by the Company of Mr. Bhatnagar as its new President and Chief Executive Officer to the terms of an Employment Contract, Transition Agreement and a Warrant each dated as of January 11, 2019 for a period of 5 years and at a base cash salary of $275,000 per annum. Under the terms of the Employment Contract and Transition Agreement Mr. Bhatnagar is to receive 13,109,494,031 Restricted Shares of Common Stock of the Company. In addition, Mr. Bhatnagar is being granted 1,000 shares of a newly-created class of Series A Preferred Stock of the Company that effectively gives him voting control of the Company. As the holder of one thousand (1,000) shares of Series A Preferred Stock, Mr. Bhatnagar shall have the number of votes (identical in every other respect to the voting rights of the holders of Common Stock entitled at any regular or special meeting of shareholders of the Company) equal to such number of shares of Common Stock that is not less than fifty-one (51%) of the vote required to approve any action that New Jersey law provides may or must be approved by vote or consent of the holders of Common Stock or any other securities of the Company entitled to vote. Except as otherwise required by law, the holder of the Series A Preferred Stock shall vote together with the holders of Common Stock on all matters and shall not vote as a separate class. Notwithstanding the foregoing, should the Company enter into a merger agreement with another company and such merger is deemed significant as per SEC Regulation SX Section 3.05 and Section 3.06 Requirements, the Company with seek shareholder approval by a Proxy solicitation in compliance with Federal and State law. Mr. Bhatnagar has been elected to the Board of Directors of the Company together with Mr. James Largotta. Under the terms of the Transition Agreement and a cashless Warrant, Mr. Bhatnagar is able to earn an additional 4% of the outstanding Common Stock of the Company for each $1 million of gross revenues of the Company up to $15 million in such revenues and for a total (including his original grant of the Company’s common stock) not to exceed 80% of the total outstanding Common Stock of the Company. The purpose of this transaction is to bring in new management to the Company replacing its existing management to continue development of the Company’s patented and patent pending Smart NanoBattery and Drug Delivery Systems. Either directly or through wholly- owned subsidiaries. In addition, Mr. Bhatnagar intends to broaden the Company’s existing lines of business to include diverse lines of business that the Company can manage profitably within reasonable time frames within the Company’s resources. (i) 9,839,800,000 of Shares to satisfy existing liabilities in a Reserve Account. The Company shall periodically sell stock, in Private Placements of Common Stock from the reserve, at a price of not less than $.00005 per share, to Section 4(a)(2) of the Securities Act of 1933. The proceeds of such sales shall be used (to satisfy settlements already entered into or being negotiated of labilities that range from $445,000 to $490,000 depending when such settlement payments are made) of total liabilities of approximately $1,300,000 of the Company on December 31, 2018. To the extent that such liabilities are not extinguished or agreed to be settled by July 11, 2019, Mr. Bhatnagar will be entitled to receive additional shares of common stock at $.00005 per share in excess of the above-described 80% limit equal to the amount of such unsettled liabilities. (ii) Messrs. Durando, Dotoli, Smiley and Biderman have converted a total of $133,010 into 2,660,200,000 shares of common stock of the Company, at $.00005 per share, as part of the transaction. Such shareholders shall continue to own an aggregate of 24,516,968,732 Shares of Common Stock of the Company. (iii) 2,500,000,000 shares of common stock to be issued in periodic Private Placements of such Common Stock to Section 4(a)(2) of the Securities Act of 1933 to provide working capital to the Company. The overall Transaction may result in significant future dilution to existing Shareholders of the Company. (4) The consideration being given by Mr. Bhatnagar for control of the Company is his agreement, to the terms of the Employment Contract and related agreements, to become President and Chief Executive Officer of the Company and to serve as a Director of the Company. (5) There is no source of cash funds Mr. Bhatnagar is using to enter into the Transaction. (6) Prior control of approximately 55% of the outstanding common stock of the Company was owned, in the aggregate, by prior management and Directors of the Company consisting of Messrs. Durando, Dotoli, Biderman and Smiley. (7) There are no agreements or understanding between prior management and Mr. Bhatnagar, as the new control person of the Company, with respect to election of Directors or other matters. (9) Upon issuance of 13,109,494,031 and 2,660,200,000 shares under the agreements described above, the Company will have 53,207,670,153 shares of common stock outstanding and the Company has reserved 9,839,800,000 and 2,500,000,000 shares of common stock to be issued in periodic Private Placements of such Common Stock to Section 4(a)(2) of the Securities Act of 1933 to settle certain liabilities and provide working capital to the Company. Effective January 11, 2019, the Board of Directors of mPhase Technologies, Inc. (the “Company”). elected Mr. Anshu Bhatnagar and Mr. James Largotta as new members of the Board of Directors of the Company to Section 14A-5 of the New Jersey Business Corporation Act. Immediately thereafter, Messrs. Abraham Biderman, Mr. Victor Lawrence, Mr. Gustave Dotoli and Mr. Martin Smiley each resigned as a member of the Board of Directors of the Company and Messrs. Durando, Dotoli and Smiley resigned as Officers of the Company. The foregoing resignations were not the result from any disagreement with the Company, any matter related to the Company’s operations, policies or practices, the Company’s management or the Board. mPhase Technologies, Inc. is focused on marketing its automotive battery jump starter designed for the mass market and developing new smart surface products through the sciences of microfluidics, microelectromechanical systems (MEMS) and nanotechnology. The Company is engaged in commercializing its nanotechnology-enabled product for military and commercial applications-The Smart NanoBattery providing Power On Command. Its battery technology, based on the phenomenon of electrowetting, offers a way to store energy and manage power. The platform technology behind the Smart NanoBattery is a porous nanostructured material used to repel and precisely control the flow of liquids. The material has a Smart Surface that can be designed for other product applications, including medical oxygen generation, hot/cold packs and emergency lighting. As of December 31, 2015, the Company had completed a Phase II Small Business Technology Transfer Program (STTR) grant.